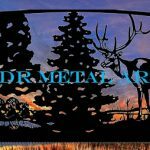 Traditional Gates by JDR Metal Art - Custom Driveway Gates - Iron Steel & Aluminum - JDR Metal Art - FREE Standard Shipping! Here are just a handful of our most basic designs you can use for inspiration for your driveway gate entrance. Please get in touch if we spark an idea for your own entrance gate! Picket style entry gate with clean, attractive lines. 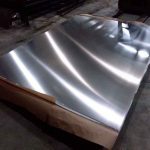 2×3″ rectangular steel tubing frame and 1×1″ pickets. Shown as 14′ wide x 4.5′ tall dual swing. Customizable centerpiece, clavos welded-on near the top of the outer frame. Shown as 5′ tall x 12′ wide single swing above, 14′ x 6′ tall below. Customizable Farm, Ranch or Estate Name at the top and customizable inserts in the center of each panel. Shown as 12′ wide x 6′ tall dual swing. A classy looking entry gate with clean, crisp lines and an arched top. Perfect fit for any home, farm or ranch entry. 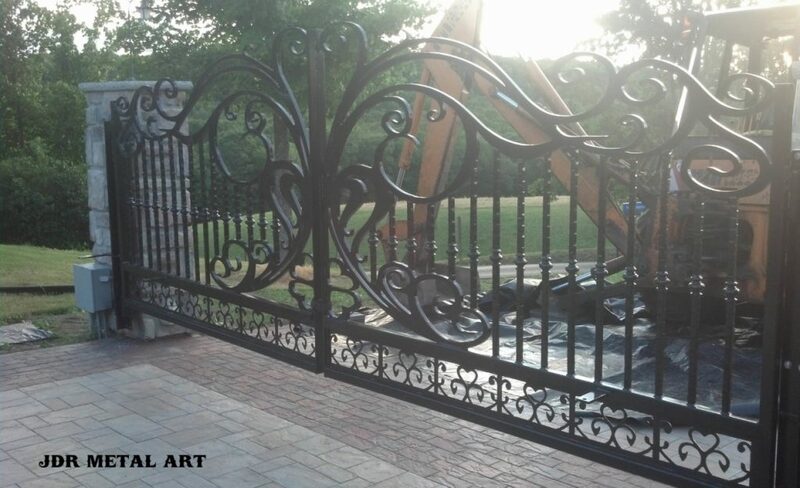 A prime example of our wrought iron style entry gate with custom designed plasma cut decorative scrollwork. 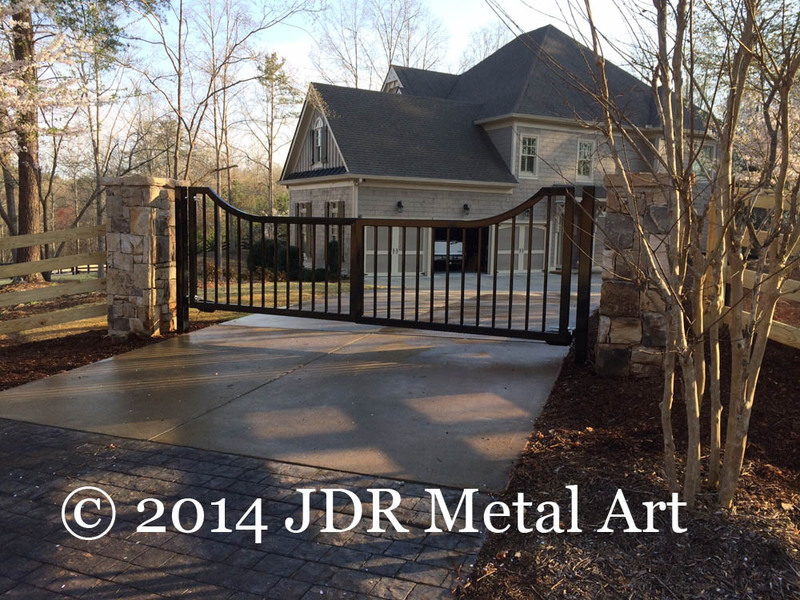 We will help you make a gate that is not only secure but appealing to the eye. Whatever your needs, we work with you one-on-one to find out what your needs are and to give you different ideas and options to make your gate project a successful one. 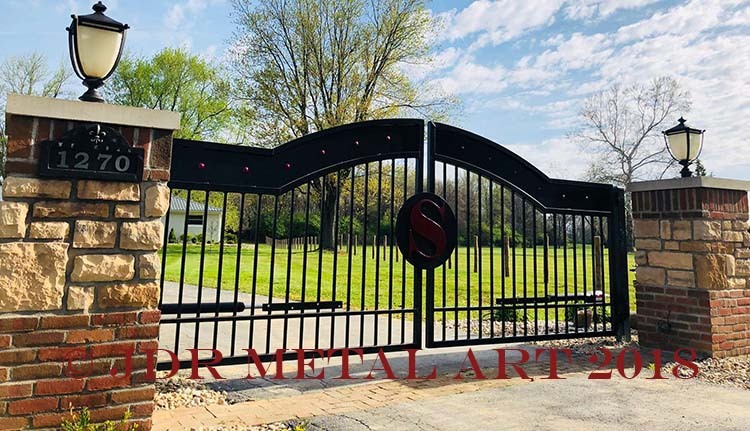 JDR Metal Art’s gates offer huge value because of their innovative designs, extreme high quality construction and some of the most competitive pricing in the gate industry.